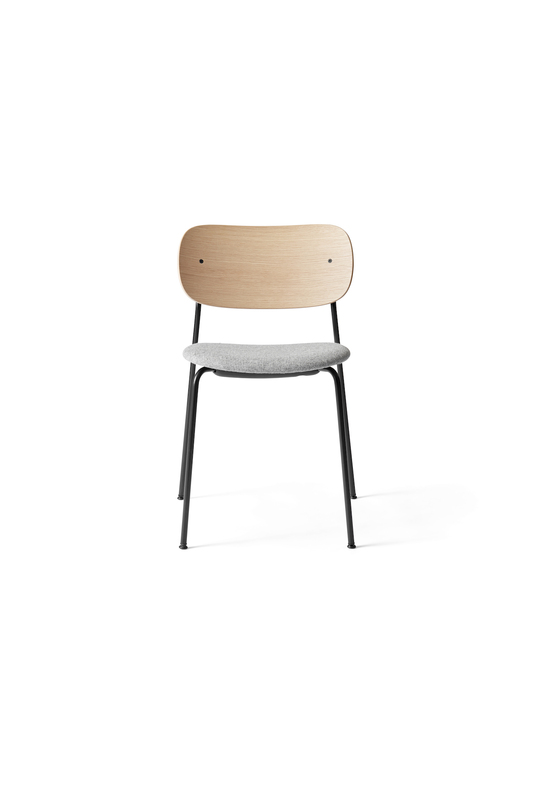 The Co Chairs can be upholstered with a wide collection of fabrics. Delivery time is approx. 6 / 8 weeks. We have a wide collection of samples, we will gladly send it to you against deposit. Do not hesitate to contact us to talk directly of your project. 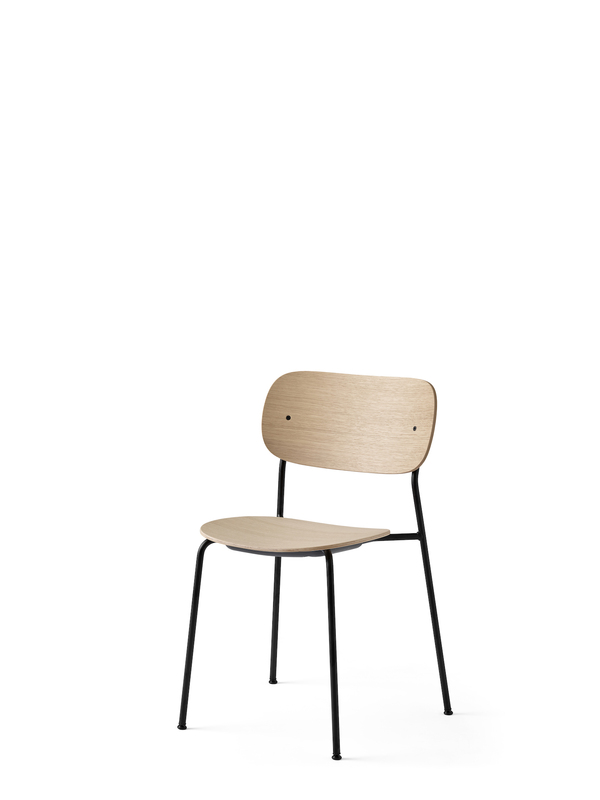 The Co Chair is the result of a successful collaboration between Norm Architects & Els Van Hoorebeeck. In 2018, they addressed one of the most recurrent issues in private, public or office places: space. 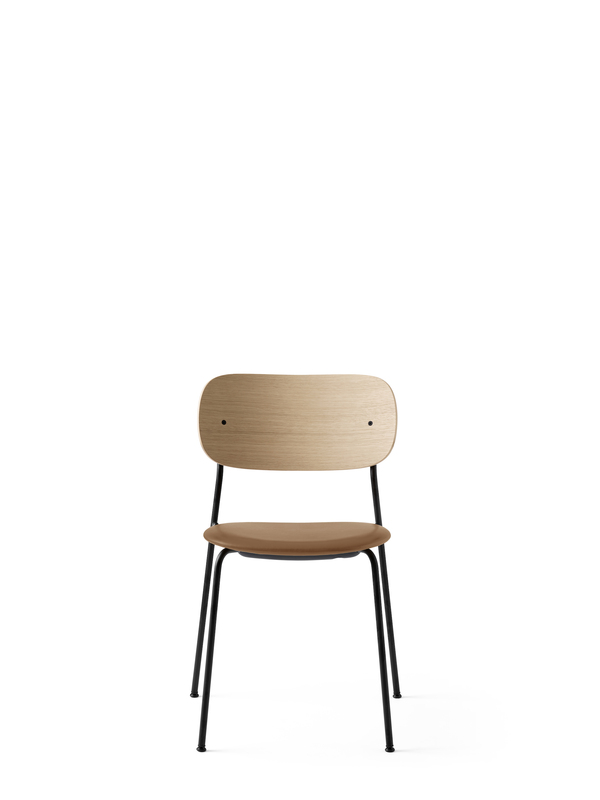 Stackable up to 10 chairs, the Co Chair adapts itself to a wide range of needs and is able to fit into any interior styles. The Co Chair’s characteristics make it an ideal addition to any spaces offering optimal comfort. 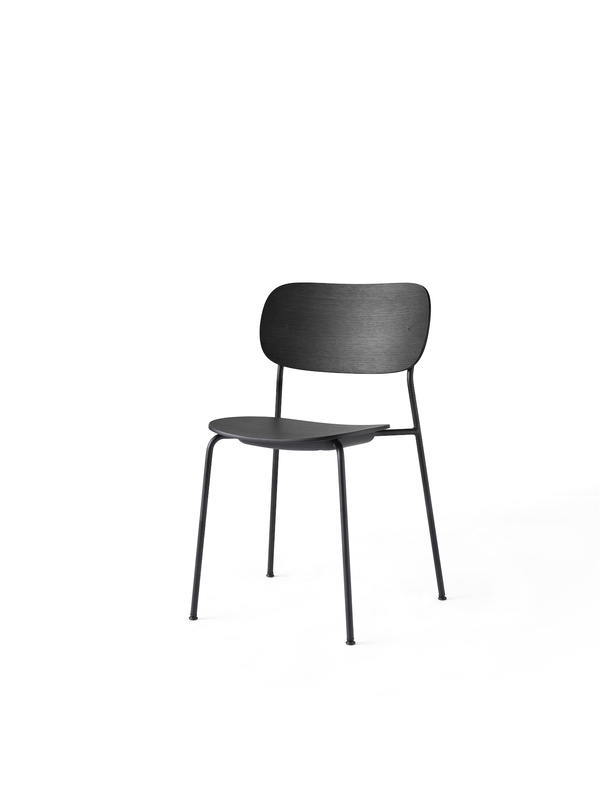 Its sleek lines combined with a great seating comfort allow the chair to be a great seating option in workplaces and private homes. 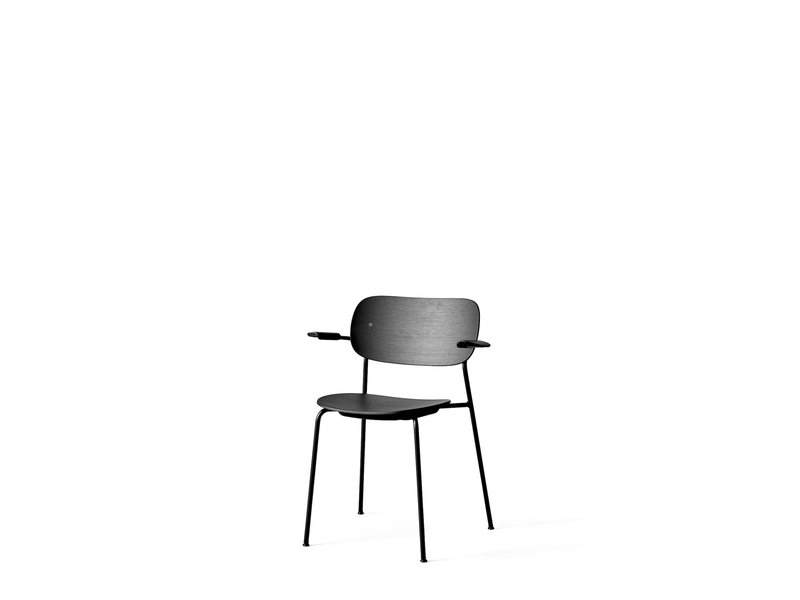 The chair’s proportions offer optimal comfort as well as freedom of movement. 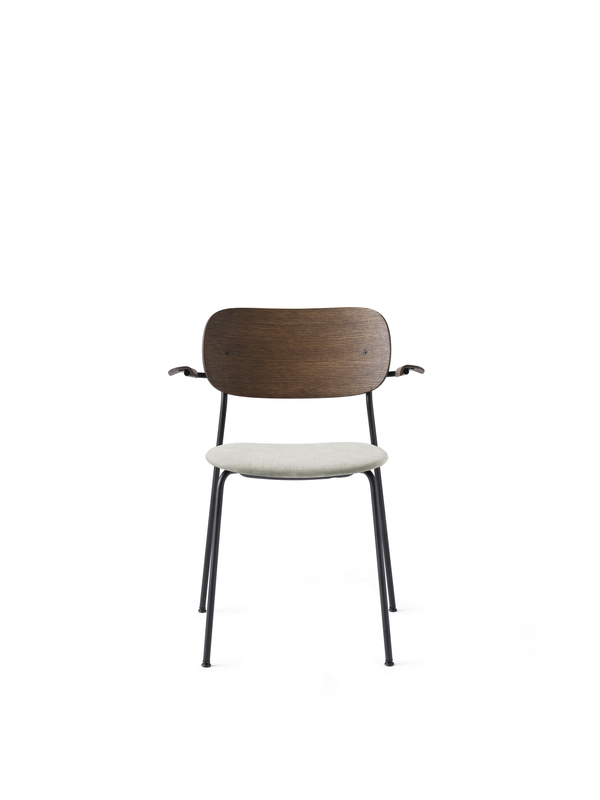 Comfort is one of the keyword during the creation process, as the backrest proves. It is slightly angled to allow maximal support. 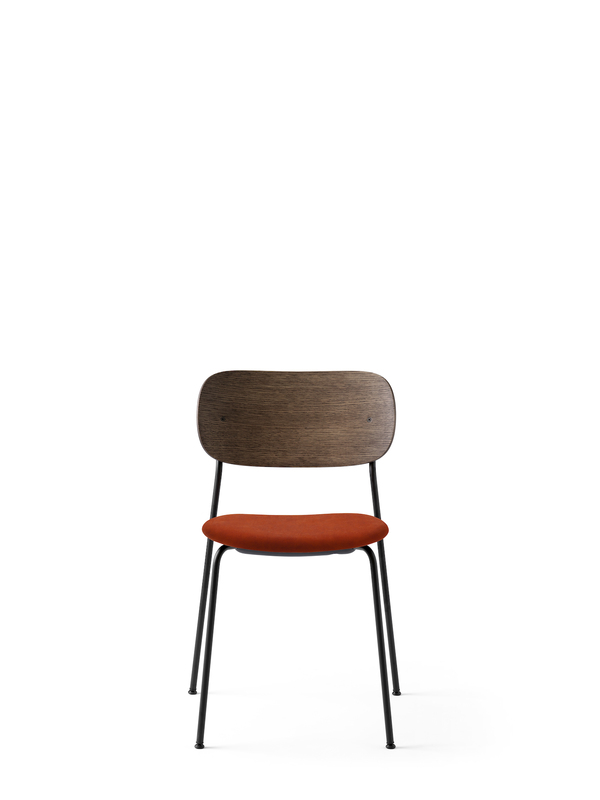 Extra comfort is also imbued into the veneer armrests which enhance the chair’s design.